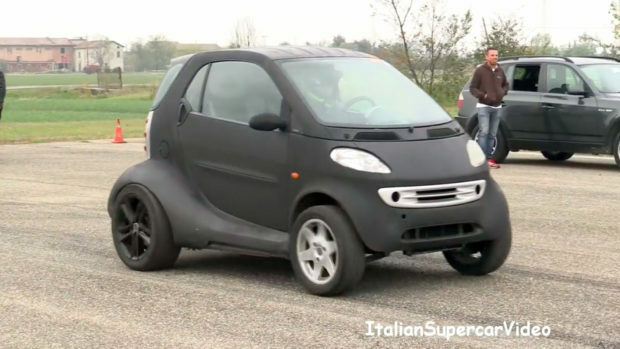 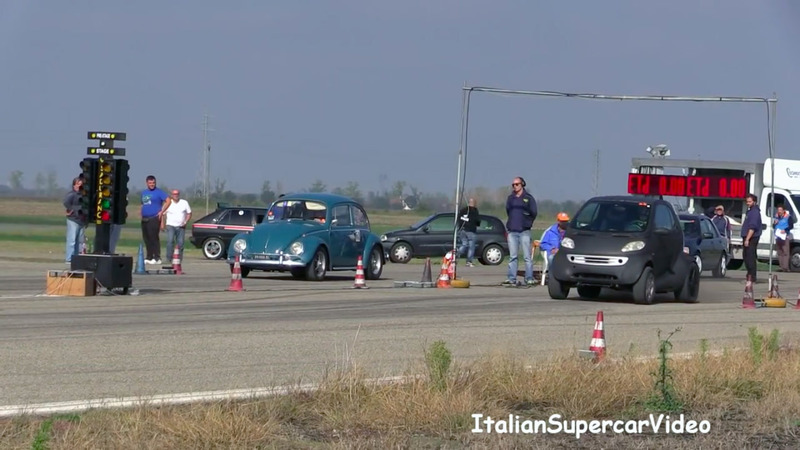 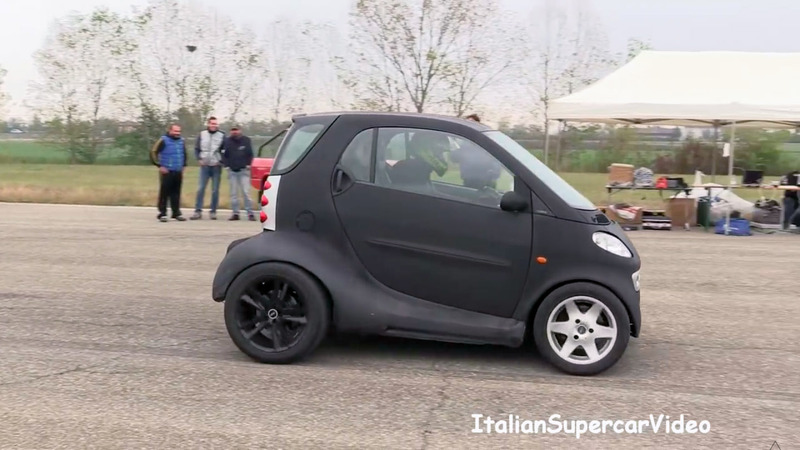 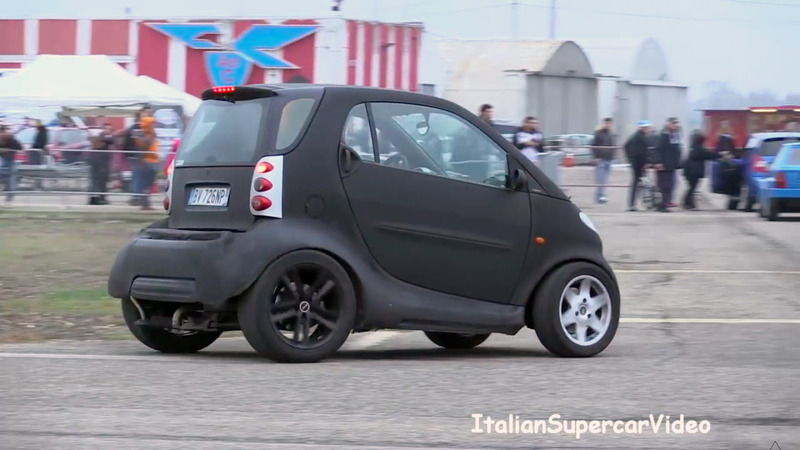 A couple of gentlemen from Italy have taken a first generation Smart Fortwo and installed a 1.9 L TDI inline-four and transmission from a Volkswagen Golf. 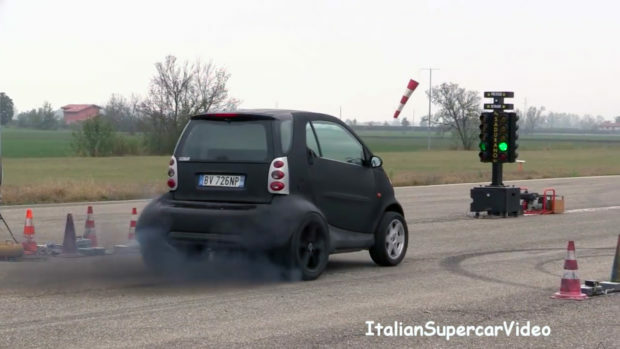 The engine produces 150 horsepower which gets the little car down the quarter-mile in slightly over 13 seconds. They call the project “Volksmart”.